When you're the girlfriend, fiancee & baby's mother of Suge Knight, you're sure to have seem some ish. But now his ex--who says she was his fiancee--Stormey Ramdhan is brave enough to tell all over a decade later. 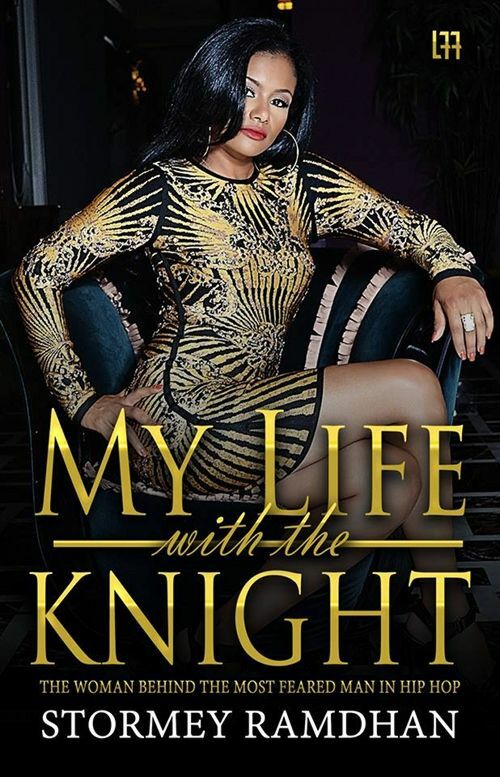 Stormey's rep tells us that the book, My Life With The Knight, will dish some juicy nuggets about what life as Suge's fiancee and baby's mother was like. And we're told she's the only one bold enough to really tell all about what went down during their relationship in the late 90s. From the Biggie shooting to being a kept woman in L.A. to all the hip hop drama that was going on at that time, we're sure she'll be revealing a different side of things that went down during that era. Especially since she was so close to the man at the center of it all. The book, developed by The R'ajwa Company, is slated to drop soon. And based on Stormey' description of herself on her FB page, we're left to wonder if she's so willing to talk about one of the most feared men in hip hop....because she's interested in getting her own tv hosting gig. She said about herself, "I am a Mother, Author, Entrepreneur, and aspiring TV Host." Will you be copping Stormey's book?